The theme park that defines all that came after it; that’s what Disneyland® Resort represents to the millions of people who visit it every year and the many more who wish they could! Since it first opened in 1955, this magical playground for adults and children alike has welcomed millions of visitors through its gates. Over time, with more entertainment options being added, visitors might be overwhelmed as they try to take it all in. To make the most of your trip, whether it’s your first visit or your tenth, it’s important to plan your trip carefully. 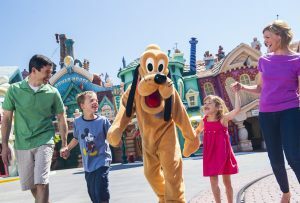 Buy Disneyland® Resort tickets online through aRes Travel, and you will not only save money but also eliminate the stress of organizing your visit. We can combine your park tickets, accommodation, and travel into one convenient package. The question really should be, “What can’t you see?” What was your favorite movie as a child? Chances are, it was a Disney production ― in which case, you can visit your childhood hero in a fabulous recreation of their homeland. Take a tour with Dumbo, check out Indiana Jones’ cave, or have a ball in Nemo’s underwater playground. Is it coming up to Christmas or Halloween? There’s a tour you can take to celebrate your favorite holiday. Is it your birthday? Make it one to remember with a special Disney-themed party. It’s important you plan your trip to Disneyland® Resort wisely to make the most of your time there. Booking your tickets with aRes Travel is the easiest way to make your holiday even more special with less stress. 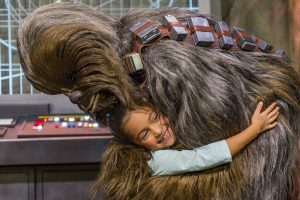 For exclusive deals on cheap park entry, amazing savings on hotels, and some of the lowest prices on travel, buy Disneyland® Resort tickets online through aRes Travel. Log on to www.arestravel.com and book the vacation of a lifetime today! As to Disney artwork, logos, and properties: © Disney, © Disney•Pixar, © Disney/Lucasfilm Ltd. © & TM Lucasfilm Ltd.